American Residential Warranty Review – Is it worth it? Most homeowners have a lot of different appliances and their warranty on them soon runs out. There are options sometimes to buy extended warranties at the time of purchase but many don’t feel there is any value to this, then later wish they did. So, if American Residential Warranty a better way to go? American Residential Warranty is a company that will pay or replace any of the appliances that are covered under their program according to the plan that you have opted for. American Residential Warranty claims that if one of the covered items under your plan breaks down that they will send the appropriate professional out to assess the problem. If the cause of the break down is from normal wear and tear and meets the terms and conditions of your signed contract then they will either have it repaired or replaced. They hype really is that you have basically an extended type warranty that covers all of the applicable appliances for one monthly cost. American Residential Warranty has different plans that they offer. These range from the very best which is the Platinum Premier for $49.99 a month down to more specific plans like Kitchen Plus for $27.99 or Heating and Cooling for $32.99 per month. Your commitment is really going to come with making sure that you read every word of the contract and plan that you are considering taking out with American Residential Warranty. 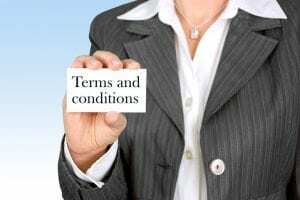 It is your responsibility to fully understand the terms and conditions and exactly what is being covered. While this seems like a good idea when you consider the individual costs that you would pay for each individual extended warranties for all your appliances, you need to think about this carefully. Every appliance is eventually going to break down from wear and tear so what makes each appliance you own a qualifier for coverage? We are limited to giving the American Residential Warranty Programs a Try/Buy. Our research has indicated that a lot of people are not totally satisfied with the services being offered by the Company. Keep in mind though that you have to be very cautious with reviews as not all of them are valid. One of the biggest complaints seems to be customer services. Some say there are extremely long waits on the telephone to try and issue a claim, then they are not treated satisfactorily once they do get to speak with a customer service representative. Some say that there are hidden policies and things that are not covered. These are all serious concerns. The question that has to be raised is that did these disgruntled clients not fully understand their contract or is the Company simply not living up to their expectations. One would expect that with the type of coverage that American Residential Warranty is offering that there would be a fair amount of exclusions and some pretty ridged criteria. So in summary this would be a buy with caution service. American Residential Warranty is not the first type of company to offer a warranty type service. There is a company called Square Trade that offers a similar type service for electronic, so check out our commentary on this one. What do you think? Does American Residential Warranty work or not? I personally feel it depends on how well you take care of your household items in general . Like for instance in 8 years . The only thing that I have had to fix or replace is the heating element in my oven twice dude to cold weather or whatever reason they stop working at the most $ 125 each time . Then one time replacement for the refrigerator door brackets the things that slide into the door to hold jars and other foods . That was a one time $ 150 . So $ 400 over 8 years really isn’t saving anything unless you are intentionally damaging your property or very clumsy . I mean if you are worried about theft or something just pay for a security system with camera footage that records the person stealing it . American Residential Warranty is a big sham.They dont honor claims and after my second denial, I dropped them.They want your money but nevet intend to fix anything.I was defrauded my them for the ladt time. Friendly helpful and proceed my claim in a reasonable time.my opinion I give a five.